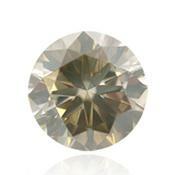 Natural blue diamonds – original color. 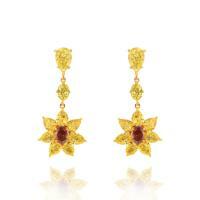 View all sale offering by blue diamonds. 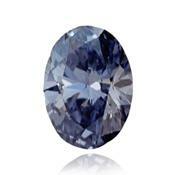 In 2009 at Sotheby's auction in Geneva the rare blue brilliant weighing 7.03 carats for 9.5 million dollars was sold. 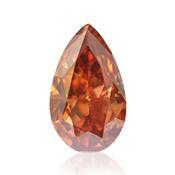 The brilliant was found on Cullinan mines in the Republic of South Africa. 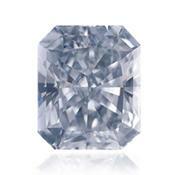 This exclusive blue diamond established a world record at the price, over a million dollars per carat. 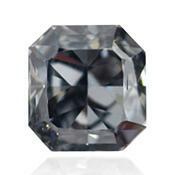 Natural blue diamonds concern to the most rare of the natural fancy diamonds which popularity began to grow recently promptly. Only one of each 10 000 diamonds has blue color. The rarity of blue diamonds, their extraordinary beauty, and, as a result of it, the high price led to the fact that these stones are considered to be the privilege of the elite. Blue diamonds deservedly have glory of elite gemstone when it comes to natural fancy blue diamonds instead of artificially produced color. Blue brilliants receive the color from hit of atoms of bohr atoms in chemical structure of brilliants during its formation. Unlike other fancy brilliants which aren't chemically active, blue brilliants, in connection with bohr atoms presence, work as natural semiconductors. Existence of atoms of bohr atoms allocates brilliant with reflecting properties. 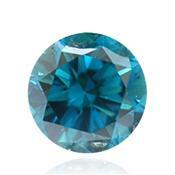 The first blue brilliants were found in the middle of the 1600th years in “Kollur” mine in India. Today, the main places of production a blue brilliants are the kimberlite diamond tube "Kullian" in the Republic of South Africa and “Argyle” mine in Australia. The brightness and color saturation are directly dependent on the amount of the bohr atoms present in the chemical structure of the brilliant. Existence in structure of brilliant of other additional chemical elements causes emergence in a blue brilliant of an additional shade. So, for example, impurity of nitrogen gives to a brilliant yellowish tint. Intensive vivid and purely painted blue brilliant found in the nature extremely seldom. More often poorly painted brilliants or the mixed colors gemstones is founding, such as gray-blue, blue-green, etc. Color of blue brilliants is rather various and covers a wide range of intensity of color from the deep blue color is very rare to the light blue tine. 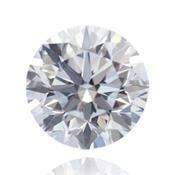 Almost white diamonds are called "blue ice". Can found a brilliants of purple-blue color, of color aquamarine, and also various impurity of color, such as greenish-blue, gray-blue and others. 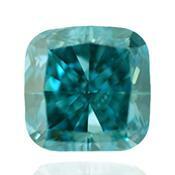 Blue diamonds - shape and size. As well as all color diamonds, blue diamonds happen the most different forms (round, the princess, the marquis, asscher, a pear, heart, a radiant, etc.) and the sizes. 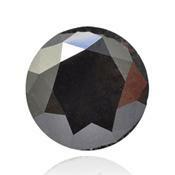 The most famous are the round brilliant, princess, heart, pear, oval and marquis. 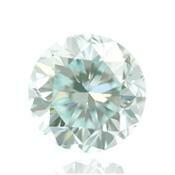 The rarity of blue brilliants and their high price make these stones available only for very wealthy people. 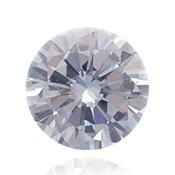 Blue diamonds, as well as other fancy diamonds, you can buy only on diamond exchanges or auctions. 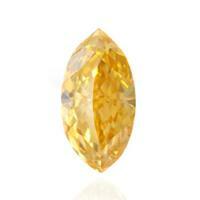 Assessment of blue diamond is a very difficult task. 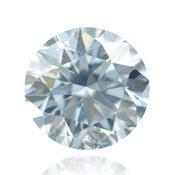 As for all the other fancy diamonds, blue diamond price increases dramatically depending on the purity of the color (no additional colors) and the intensity of the color of the diamond. 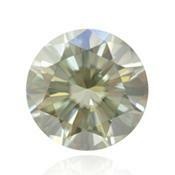 For diamonds fancy colors, due to their rarity, there are no price-listing. In compliance with the average market price, recently, the price of blue diamonds till 1 carat holds at the level of 150 000 dollars per carat. 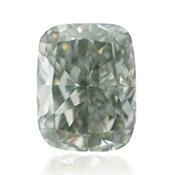 While for larger blue diamonds with intense pure the price increases to half a million per carat. 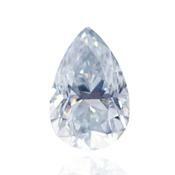 In October, 2010 in the auction house of Christie's in New York was sold a trendy vivid blue diamond of 10.95 carats of a triangular cut for $15.762.500 ($1.439.497 per carat). 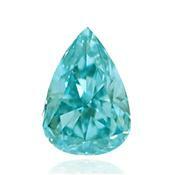 This auction established a new price record of the world for blue diamonds. 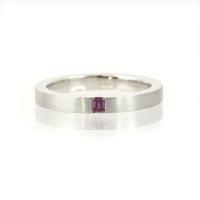 Not everyone can afford to buy a ring with blue diamond due to the rarity and high price of gemstone. 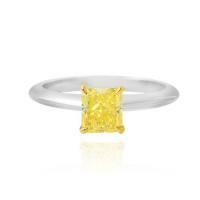 Buying a ring with a blue diamond you can be sure that no one will disregard your purchase. Ring with a blue diamond will always be a grace and style standard, undoubtedly, elegance and tenderness of a diamond attract to it looks. Blue color is color of attachment, fidelity, impressionability. Dark blue color symbolizes wisdom, self-control and spiritual realization. 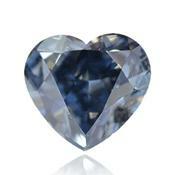 Diamonds of blue color are loved also by men and women. Ring with blue diamonds are in demand the most famous and successful people. Buying a ring with a blue diamond it is necessary to receive GIA certificate (Gemological Institute of America), confirming naturalness and authenticity of a diamond. Blue diamond – to buy. Have you ever seen a blue diamond? If your answer is "no" you are not alone. Most gemologists and dealers who sell diamonds never seen a blue diamond. 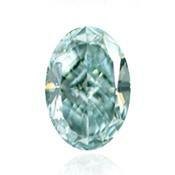 Each year in the sale appears very small quantity of new blue diamonds. 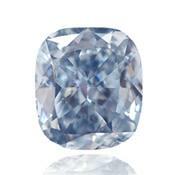 Almost all blue diamonds available today, had some previous owners. 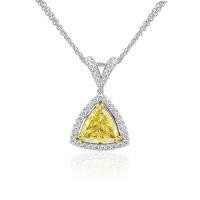 And each time at new sale occurs increase on the cost of a diamond. The price for a blue diamond is never reduced. 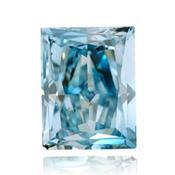 Blue diamond is one of the most coveted diamonds in the world. 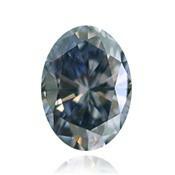 Even among natural fancy diamonds blue diamond is very rare gemstone. The prices of blue diamonds are very high. At purchase of a blue diamond, necessary to remember that the certificate confirming authenticity and naturalness of a gemstone, GIA certificate (Gemological Institute of America) is only. The most famous blue diamonds. Diamond “Houp” is very famous blue diamond in world. The diamond has the most rare deep sapphire-blue color of remarkable purity. 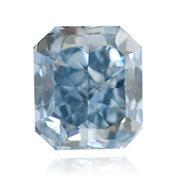 The weight of a blue diamond “Hope” is 45.52 carats (or 9.1 gr). Diamond has the following names: "Tavernier Blue", "Blue Frenchman", "Blue Diamond of the French crown", "Blue Hope", "French Blue". 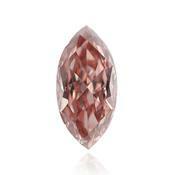 Blue diamond “Hope” is shrouded in a large number of ominous secrets and possesses "ill fame". 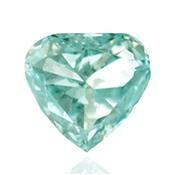 Blue diamond “Hope”, is known also as "damned diamond" as it brought to the owners a lot of misfortune. 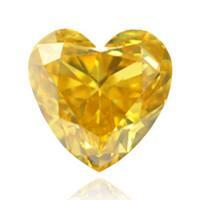 Numerous owners of a diamond, had either been killed or died under mysterious circumstances. Owners of blue diamond Hope at various times were: King Louis 14th of France, wife of King Louis 14th Marie Antoinette, an American aristocrat Evelyn Walsh McLean, and Lord Francis Hope, the owner, after which the diamond got his name. According to legend, the stone was stolen from the statue of Sita in India. Diamond long time called "Tavernier Blue," named after his first owner Jean-Baptiste Tavernier the famous hunter treasures. Tavernier brought brilliant to Europe from India and described it as "beautiful violet brilliant". He sold the brilliant to the French king Louis XIV who carried it on a neck after a cutting and setting in a gold pendent by royal jeweler. 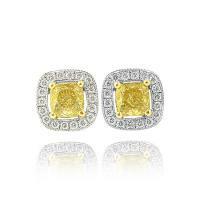 When Louis XV occupied reign a diamond graced a royal suspension bracket with an award of the Golden Fleece. In 1792, Blue Diamond was kidnapped and in 1830 reappeared on the market and was bought by a British aristocrat, the banker Henry Philip Hope, whose name diamond received. 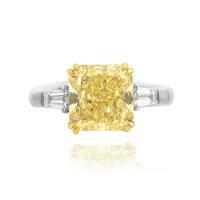 In 1839 according to documents the diamond was noticed for the first time at the disposal of Houp. Blue diamond “Hope” having a rare purity and excellent faceting was exhibited at the World Exhibition in Paris and London 1851-1855 years. At present blue diamond Hope exhibited in the Smithsonian Institution in Washington. Today, Blue diamond Hope is considered the most expensive small object in the world, it estimate at $200 million, that makes slightly less than $5 million per carat. 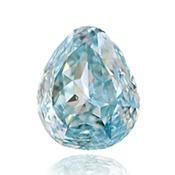 Diamond “Wittelsbacher” is large diamond blue color, weighing 35.56 carats. 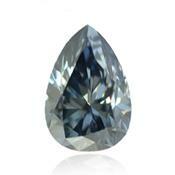 Blue Diamond has a long history, that beginning in India. In 1664 the diamond appeared in Europe when the king of Spain Philip IV presented it the daughter, the Infanta Margarita Theresa Spanish, as a dowry. After the death of Margarita Teresa in 1722, the blue diamond was inherited by her granddaughter of her husband Leopold Maria Amalia and her husband, the Bavarian Elector Karl Albrecht of the House of Wittelsbach. 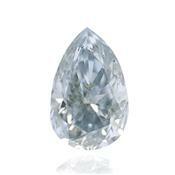 Thus, the diamond appeared in the Bavarian Crown of Wittelsbach family, from which the blue diamond prevailed the name. 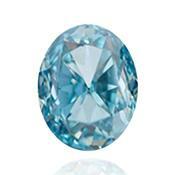 At the beginning of the XIX century blue diamond "Wittelsbach" was imbedding into the Bavarian crown and stayed in the possession of the Wittelsbach. During the First World War Brilliant considered lost, but in 1931 "Wittelsbach" exhibited at Christie's auction. Blue Diamond was not purchased and until the end of World War II, remained part of the royal jewels. Later, in 1951, the blue diamond "Wittelsbach" appeared in Belgium. Since 1964, after the purchase of a diamond by an anonymous buyer, "Wittelsbach" was in a private collection for more than three decades. In December, 2008 a diamond "Wittelsbakh" was sold at "Christie's" auction in London for a record sum 16.393.250 pounds sterling ($ 24.311.190) to the British jeweler Laurence Graff. 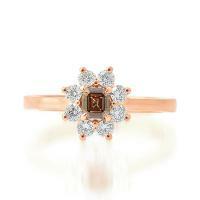 The jeweler subjected a diamond to a re-cut. 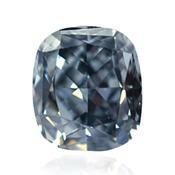 Today this diamond is knowning as the blue diamond Wittelsbach-Graff and weighing 31.06 carats. 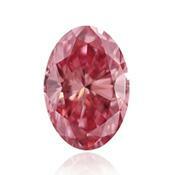 It had to be done to demonstrate its true color and bring to a rank of a faultless blue diamond. 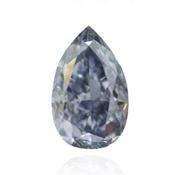 Pear-shaped diamond having a light bluish shade and weighing 70.2 carats. The diamond of "Eye of the Idol" has 9 faces instead of traditional the 8th. In addition, there are a lot of asymmetric faces scattered around the stone, which gives for a blue diamond "Eye of the Idol" extra dazzling shine. Diamond’s history is shrouded in mystery. Diamond “Eye of the Idol” is of Indian origin, from the mines of Golconda, and its name originates from the legend, which in a large number surround a gemstone. It is considered that blue brilliant of which this diamond was made, was established in one of temples of Benghazi (Libya) in an eye of a statue of an idol. According to other legend, this blue brilliant was given by Sheikh of Kashmir as ransom for the Princess Rashidakh kidnapped by the Turkish sultan. The third legend says that at the beginning of the XVII century the East Indian company withdrew a blue diamond "Eye of the idol" from the Persian prince Rahab, as compensation for his debts. 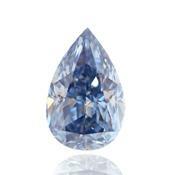 For the first time the name of a blue diamond "Eye of the Idol" was heard at the Christie's auction in London on July 14, 1865. Blue diamond was cut and mounted in a frame, it was surrounded by 18 small diamonds. It was purchased by an anonymous buyer. After that "Eye of the Idol" passed to the sultan of Turkey Abdoul Hamid II. Due to the serious political changes in the country, the Sultan ferried all his jewelry in Paris. The blue diamond "Eye of an idol" was sold on June 24, 1909 to the Spanish nobleman and within several years was stored in the bank safe in London. Still repeatedly "Eye of the Idol" changed owners. After World War II, in the 1946th year, in New York the Danish dealer sold a blue brilliant to the “Harry Winston company”. The company, in turn, resold a stone to Mrs. Mai Bonfils Stanton, the daughter of the founder of the “Denver Post newspaper” Frederik Gilmer Bonfils. After her death, in March, 1962, "Eye of the Idol" was sold at auction "to Park-Bernet Galleries Inc. of New York". 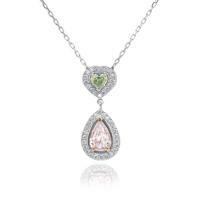 It was got by the jeweler Harry Levinson from Chicago, as a gift for the wife Marilyn for 375.000 dollars. In 1979 a blue diamond "Eye of the idol" was sold to Mr. Lawrence Graff, the head of the world famous company "Graff Diamonds" in London. 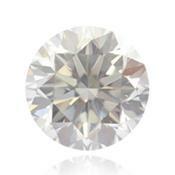 A year later a diamond the anonymous buyer acquired. In 1982 the blue diamond was shown in the New York museum Metropolitan.